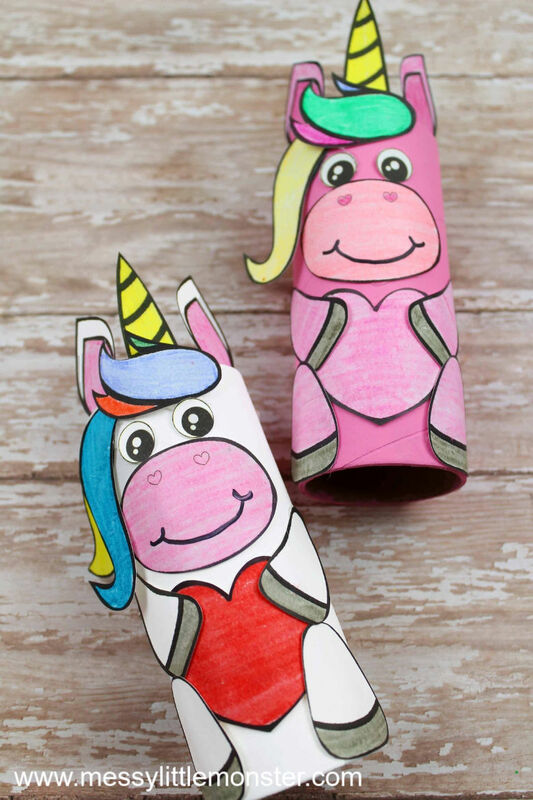 The cardboard tube unicorn craft we are sharing today is so adorable - and easy to make using our printable template! 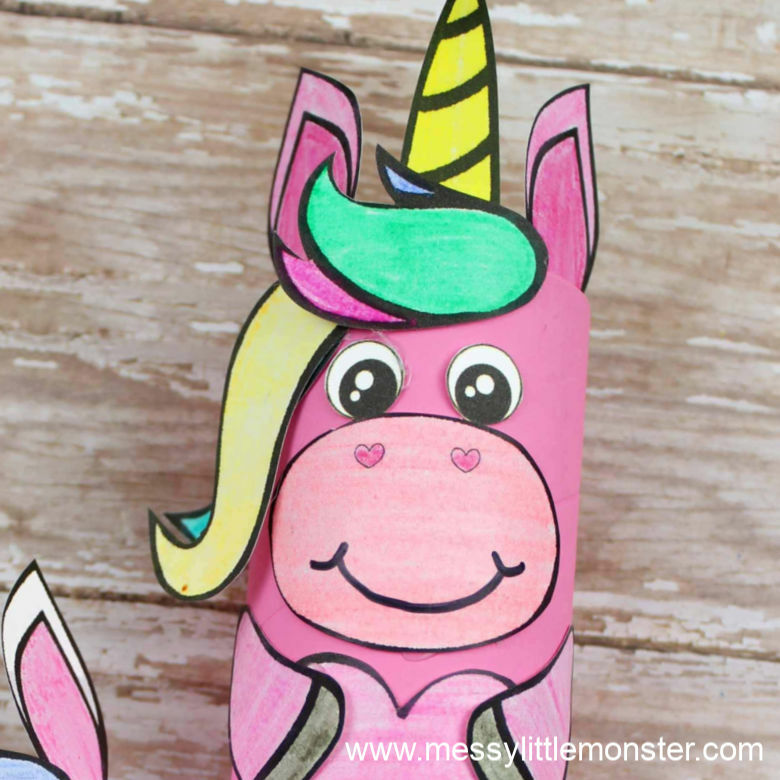 This unicorn craft for preschoolers will defintely raise a few smiles from your little ones! 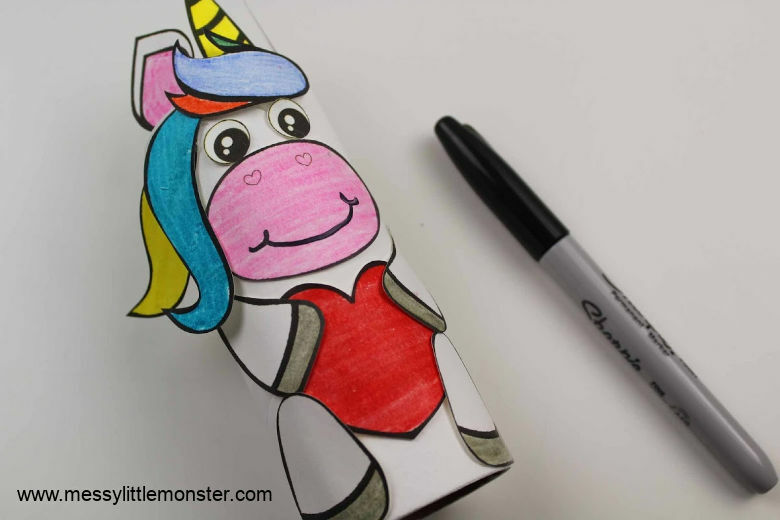 Just scroll down below for full instructions to make this unicorn craft and for your free unicorn template. Unicorns are always so popular with young children, my daughter is obsessed with them! 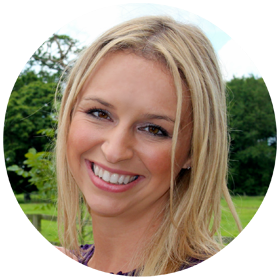 If your little one loves this unicorn craft they might also like our unicorn headband craft, unicorn colouring pages and unicorn card craft. 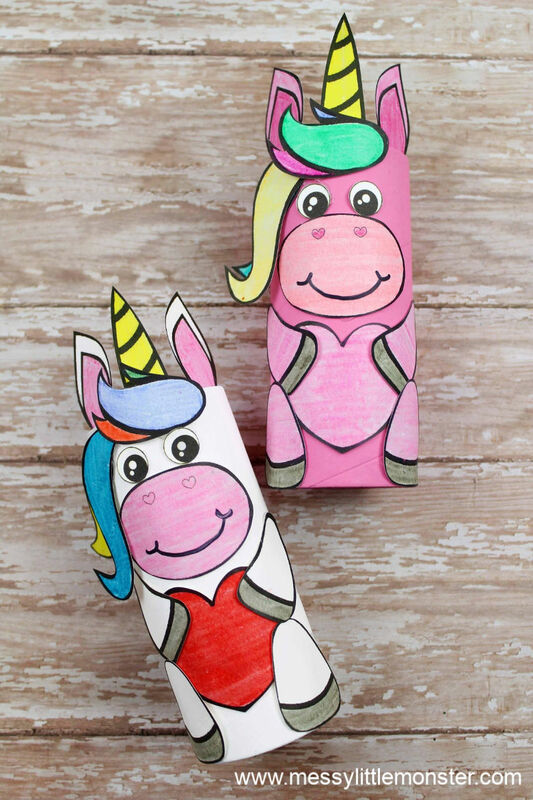 Making a cardboard tube unicorn using our unicorn template is the perfect craft for any unicorn obsessed little ones! Using our template it is really easy for toddlers to colour, cut and stick to make their own unicorn craft. Once they have made their unicorn I'm sure they would love engaging in a bit of small world play with them. You could even make a whole family of cardboard tube unicorns to play with! 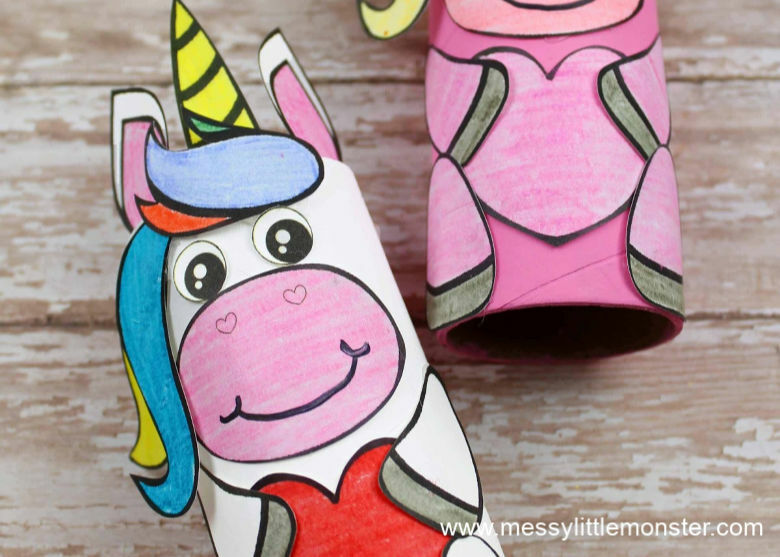 This cardboard tube unicorn craft for preschoolers is the first of a collection of 5 adorable cardboard tube animals that we will be sharing. Keep your eye out for the others coming soon! 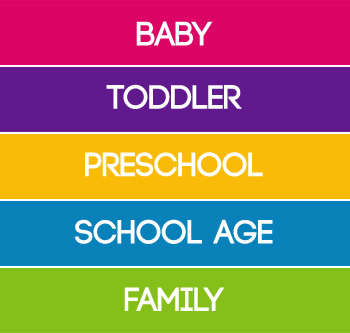 Before starting your unicorn craft fo preschoolers gather up all your supplies. You will need to print out the unicorn template (found at the bottom of the page) onto paper or thin cardstock. There are two pages included in the download, one has all the pieces needed for the unicorn craft and the other is full of eyes. Paint a cardboard tube in your chosen unicorn colour. Paint or white look great, but a rainbow unicorn could look pretty awesome too! Leave your cardboard tube to dry. 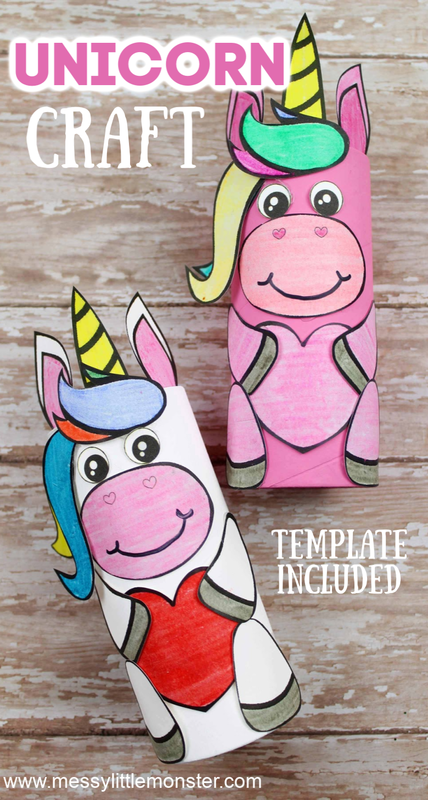 On the printable unicorn template you will find unicorn legs, arms, ears, facial features etc to colour, as well as a heart for your unicorn to hold. Use the images of the completed unicorn craft to see what each piece will become. Cut all the pieces out. Stick all the cut out pieces of the unicorn onto the painted cardboard tube. Look at the image below to see where to glue them. Add eyes and give your unicorn a smile! Your unicorn craft is complete! To download this unicorn template for free add $0 and click on the 'I want this' box below. It may take a moment for the page to load so please be patient. For personal use only. Not for redistribution. All images are copyrighted. Thank you. 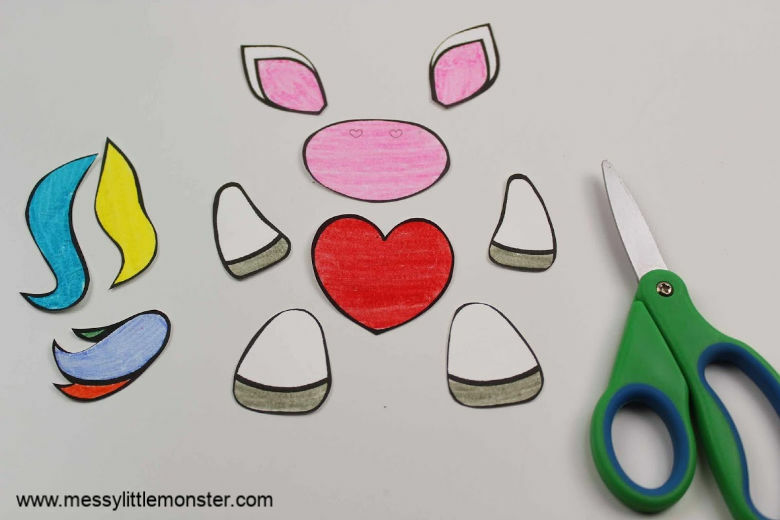 We hope that you enjoy making this unicorn craft for preschoolers. 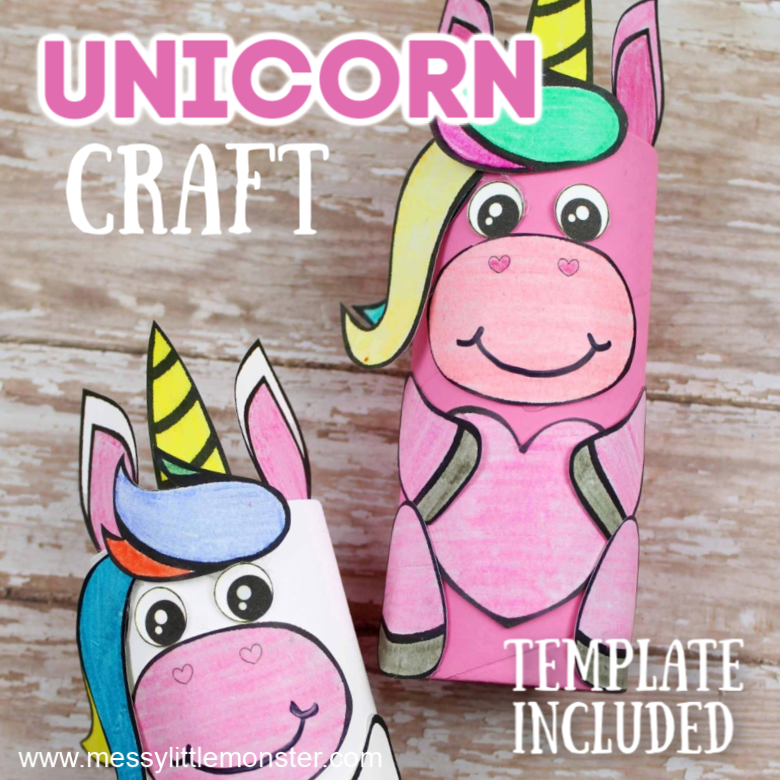 It is such an easy and fun craft for young children that love unicorns and the unicorn template makes it super easy to make! 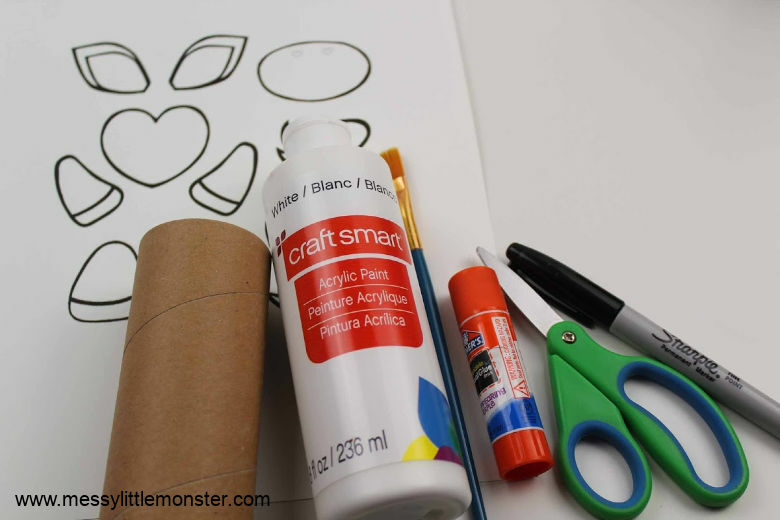 This cardboard tube craft is sure to be a winner!